Failed Democrat Florida gubernatorial candidate Andrew Gillum announced Tuesday that he is joining CNN as a political commentator. The move comes as an ethics complaint scrutinizing Gillum’s relationship with lobbyists while serving as the mayor of Tallahassee is said to be moving forward. Florida Republican Ron DeSantis defeated Gillum in the race for governor last November. The Florida Commission on Ethics has yet to publicize the records in the case, but an attorney for Gillum said on Friday following a court hearing that the case will now go before an administrative law judge. The Tampa Bay Times notes that the finding is not a determination of guilt. Tallahassee businessman Erwin Jackson filed the complaint last year, alleging that Gillum, who was the Democratic candidate for governor in the 2018 election, accepted gifts worth more than the $100 limit set by the state while in Costa Rica and New York City with his former friend, lobbyist Adam Corey, prior to his gubernatorial campaign. 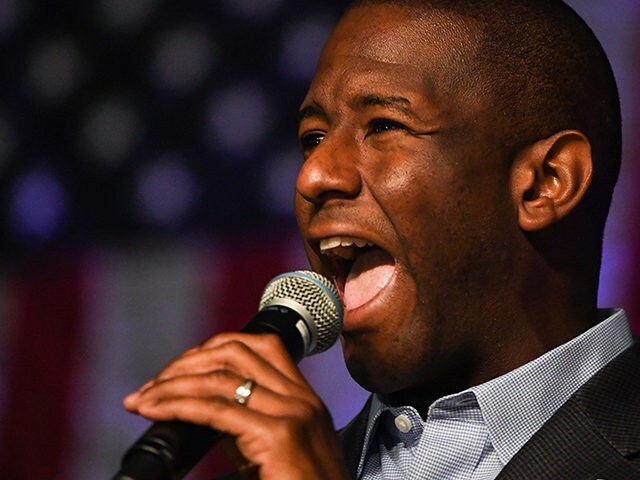 Gillum initially reported that he paid all the expenses on each trip, and claimed that Corey had misled him. “[A]nd by the way, this is not me promoting anything, including myself,” he continued. Gillum’s announcement coincided with the news that recently-retired Sen. Jeff Flake (R-AZ) will join CBS News as a contributor.